Brian M. Kile is a shareholding partner of Grenen & Birsic, P.C. 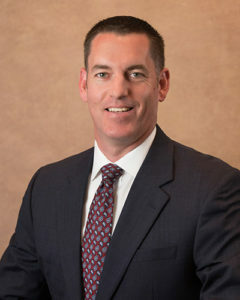 Brian has been with the firm since 2003 and became a partner in 2013. He was admitted to the Pennsylvania Bar in 2002 and to the Ohio Bar in 2016. At Grenen & Birsic, P.C., Brian focuses his practice on bankruptcy reorganizations, workout and creditors’ rights, consumer and commercial foreclosures, and consumer bankruptcy. Mr. Kile is licensed to practice in the state courts of Pennsylvania and Ohio, as well as the U.S. District Courts for the Western District, Middle District, and Eastern District of Pennsylvania. Obtaining his undergraduate degree at Dickinson College (B.A., 1999), Brian then earned his juris doctorate from the University of Pittsburgh (J.D., 2002), Order of the Barristers, Staff Member, Pittsburgh Journal of Technology, Law and Policy. He is a member of the Pennsylvania and American Bar Associations, as well as the Allegheny County Bar Association (Member of the Commercial Law and Bankruptcy Law Section). University of Pittsburgh (J.D.,2002), Order of the Barristers, Staff Member, Pittsburgh Journal of Technology, Law, and Policy.